So if you are in the Greater Toronto Area and is atleast 21 years of age, grab a bunch of your friends and head down to Vola Lounge located 214 Adelaide St. for a night of exclusive hip hop and r&b. 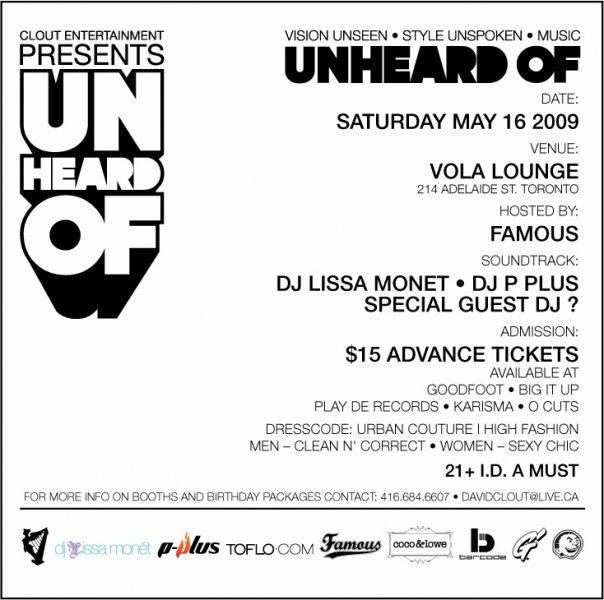 Location: Vola Lounge (214 Adelaide St.). DJs: DJ Lissa Monet, DJ P Plus & a special guest DJ!